When I saw the Floral Tassel Kimono*, I thought that it would be the perfect piece to wear to the Tenniswoodstock Festival organised by Red Shoe Events this week. I knew the event was going to be more of a classy, evening affair than sliding around in the mud at Glastonbury however I still wanted to give a nod to festival styling. The colourful floral design on this kimono makes it suited to day or night wear. Sometimes I find that floral designs on kimonos look too day time appropriate but this one is definitely suited to an evening out for dinner or cocktails too. It makes a great coverup over a black longline cami and jeggings like these, which are a staple in my wardrobe, and since it is quite long, you could get away with wearing it with leggings without showing you bottom to the world! The background of the kimono is a very dark navy blue that makes a lovely change from black and looks a little softer against the skin. The black fringing along the bottom of the kimono provides a contrast in texture and colour as well as a nod to the 70s trend that is back with force this summer. 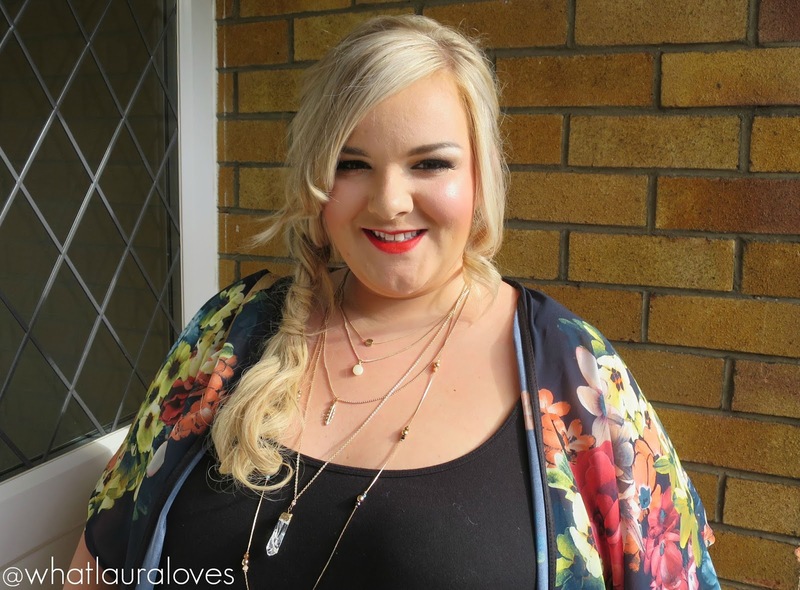 For accessories, I added my new multi layer necklace from New Look and Primark bangles, Rebecca Minkoff Mini Mac Bag and my gorgeous River Island sandals that I wrote about in this post. While they’re out of stock and never to be seen again, I have found some similar ones here. I’m also wearing my new 1975 Red lipstick that I reviewed in yesterdays post. Its a beauty isn’t it? You can shop this kimono and so many other gorgeous pieces from The Butterfly Boutique on their Facebook page here. Their delivery is quick and very affordable and there are new pieces to choose from all of the time. The Butterfly Boutique are running a great competition at the moment where you can win a £10 gift voucher, enter here. Next Post Yours Clothing Metro Centre Re-Opening! I really like the print on this Kimono. It's so colorful and pretty! 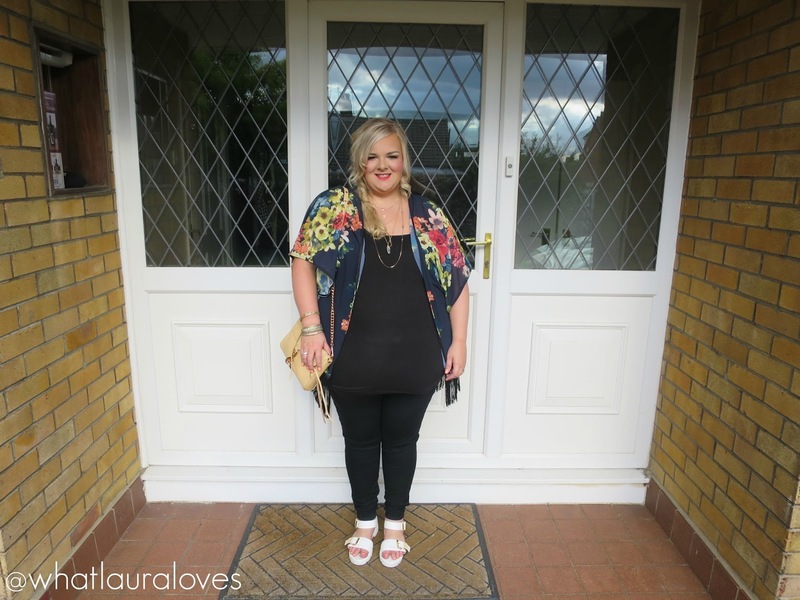 Man I've been on the hunt for a kimono – this one is perfect!